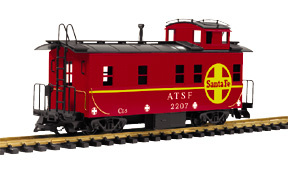 The Santa Fe is known for long trains and even longer routes, and those lengths once made the caboose a necessity for the crew. 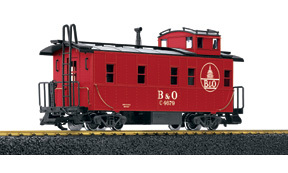 Your crews will enjoy this roomy, modern caboose, which includes a complete, lighted interior and opening doors. Metal wheels with ball bearings and integrated power pick-ups. Your crews need a place to rest their feet and complete their paperwork during the long hauls over the Allegheny Mountains. Detailed and lighted interior. Metal wheels with ball bearings and integrated power pick-ups.